This is a super fun activity to help your students learn about fractional units and how the fractional unit affects the size of the equal pieces. I have four table groups with six students each and purchased a large cheese pizza for each group. The pizzas were not cut at the store, it was cut by the students to mirror their work. 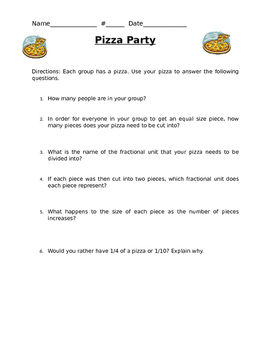 This activity can also be done with any type of model if real pizzas are out of the question.